I spent Labor Day weekend in Colorado. My mom and I decided earlier this summer it had been too long since we’d been out there and we needed to see the mountains. So we checked out flights, I used up my stupid Frontier miles and we made it happen. And then I got injured. Which killed all hopes of hiking and limited my walking a lot. 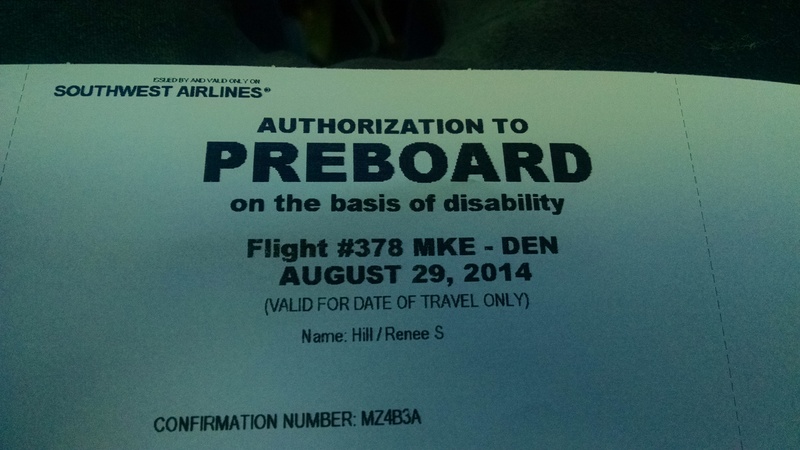 It did make it so I could get on the plane first. Hell yeah I milked the boot. Mom picked me up at DIA (she was already in Colorado) and we drove to Fort Collins. Now supposedly I have been there before. It has been at least twenty years if not longer so sure I’ve been there. 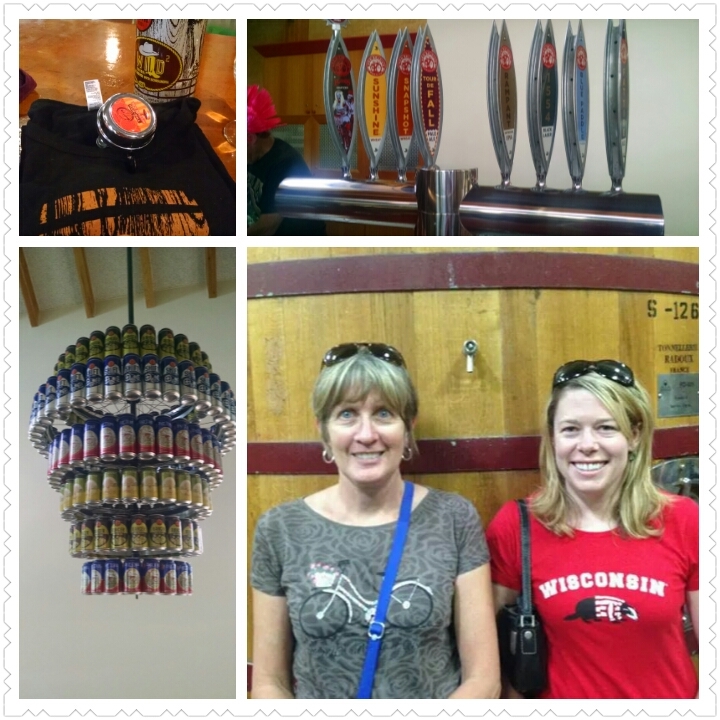 The only scheduled thing we had was our tour at New Belgium. What a fun tour. It is a free 90 minute tour (that you have to book weeks out) during which you get to taste five beers. There were a lot of stairs so I definitely took the elevator the one chance I hate. Going down stairs is still super awkward in the boot. After the tour, tasting a few other beers, and buying a lot of souvenirs (yes I needed that bike bell) we went back to the hotel. We decided to check out some of the smaller breweries and took the hotel shuttle to Pateros Creek Brewing. It was a really cute little place with very friendly staff. 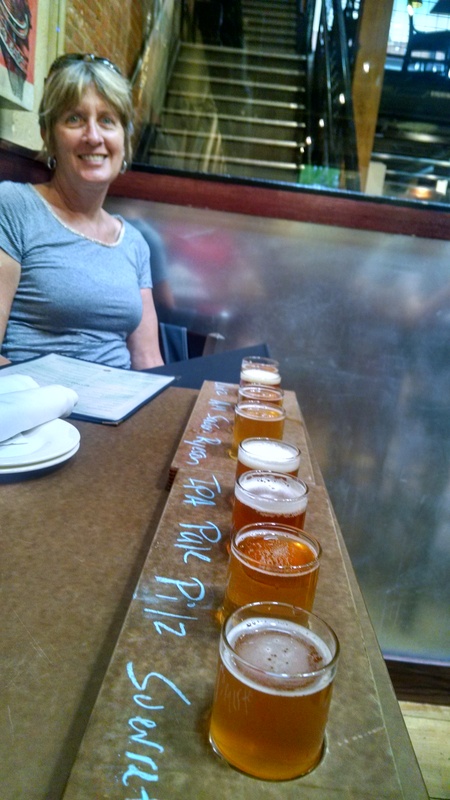 At this point mom and I decided to share flights as we really just wanted to try different beers. The girl working at Pateros told us about a new tap room across the alley after assuring us it wasn’t a sketchy alley, Freedom’s Edge Brewing Company out of Cheyenne, Wyoming. They had some very interesting beers and some blah beers. (If you want to know my thoughts on these beers find me on Untappd.) We decided dinner was necessary and ventured off to CooperSmith’s Pub and Brewing which had been recommended by a few people. I’m pretty sure at this point neither of us wanted more beer, but we each tried one with dinner and then called it a night. 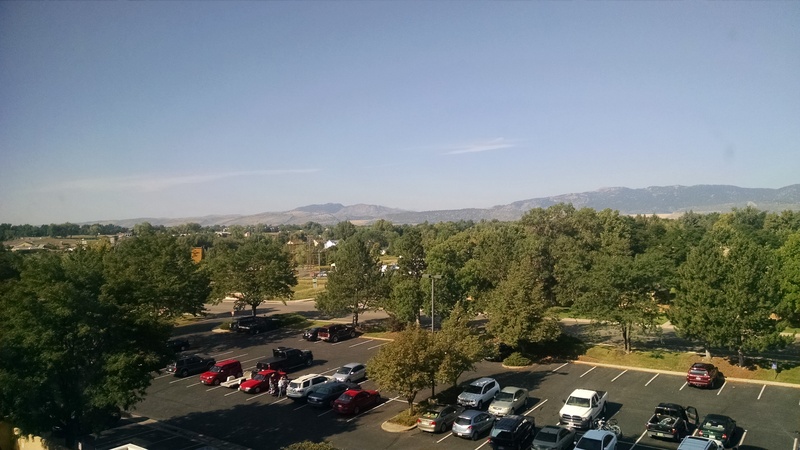 On Saturday we had a leisurely morning and enjoyed the view from our hotel: Mountains and hundreds of people biking over to the Tour de Fat. I wish I could wake up every morning and have my coffee by the mountains. After a delicious breakfast at Lucile’s we drove down to Boulder. Funny story, as I’m looking at the map, yes a real map, I mention to my mom that I didn’t realize how close to Wyoming we were. She tells me they used to drive over the border in college to drink because the legal age was 18 in Wyoming and 21 in Colorado. Driving to Boulder is one of my favorite things. I have never actually lived in Colorado, but for the first 25 years of my life I visiting 1-3 times a year including solo trips to Boulder starting at age 5 to visit my grandparents. There are some things that remain the same, but so much has changed. 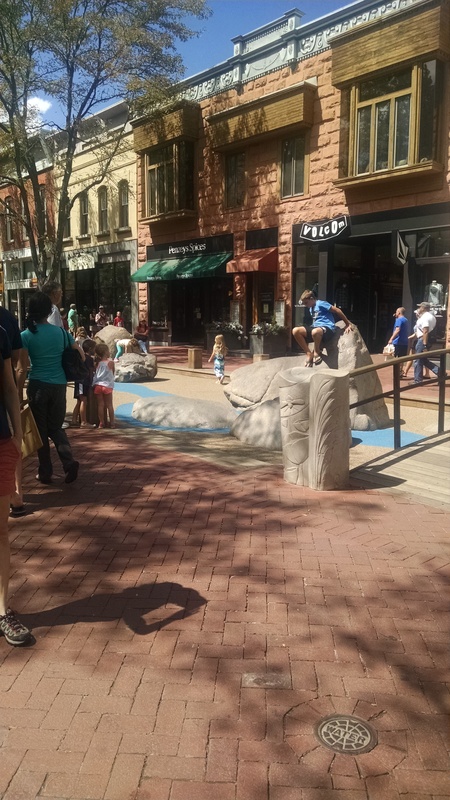 I have so many memories of the Pearl Street Mall, most of which are me playing on the rocks. These rocks used to be surrounded by tiny pebbles. Apparently they decided to make it safer and use the playground rubber now. The best beer we tasted in Boulder was West Flanders Brewing Company. They had fantastic beers and good food. I highly recommend this place if you are in Boulder. Do not go to Walnut Creek Brewery. I’m a bit confused how it’s related to Rock Bottom, but it is. I got a few different stories, but the main thing is the beer is just as bad as at Rock Bottom. Sunday morning we drove up into the Mountains. It was cold and rainy, but we just didn’t care. It was beautiful and we were in the Mountains. After our trip into the mountains we went back down to Boulder and walked the Pearl Street Mall some more. The combination of not being able to hike in the mountains and then walking too much was frustrating and limiting. Stupid foot. All in all it was a wonderful trip and I can’t wait to get back once I don’t have a boot. Sorry about your foot but it still looks like it was a great trip!! Thanks for stopping by West Flanders and thanks for the kind words. Glad you enjoyed your beers!